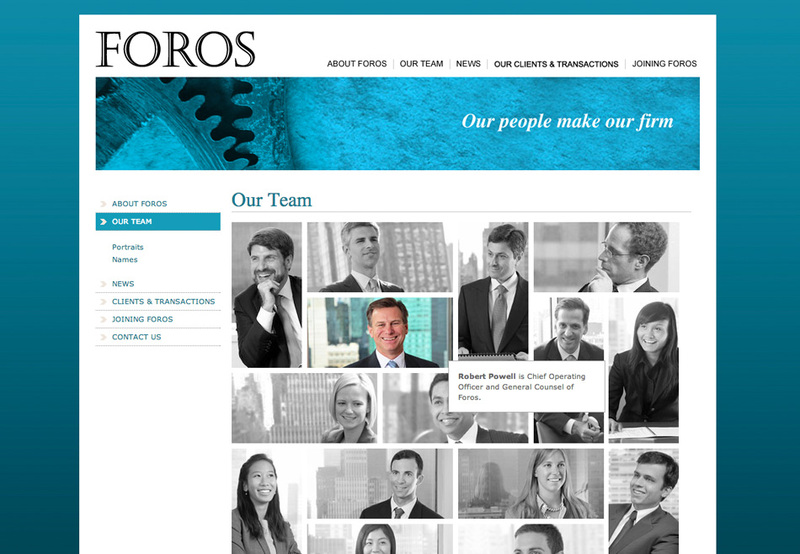 TVI worked with Foros since their founding in 2009 as an independent strategic and M&A advisory firm in Manhattan. Design of logo, imagery, color palette, website and presentation templates were all part of the initial engagement. TVI continues to support Foros in digital marketing and design. Since inception, they have advised on a total of 31 announced transactions with $43 billion of transaction dollar volume. In 2011, league table agencies ranked Foros among the top 15 M&A advisors and among the five top independent advisory firms in the U.S.